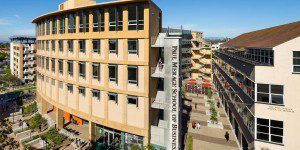 Take a look at the latest news coming out of business schools in the Los Angeles metro. The Accreditation Council for Business Schools and Programs (ACBSP), the country’s only organization which provides specialized business accreditation for all degree levels, recently offered accreditation to business programs at Mount Saint Mary’s University, Los Angeles. ACBSP evaluates a variety of factors to determine which programs qualify for accreditation, including leadership, quality of academic programs, faculty credentials, strategic planning, educational support and more. According to ACBSP Chief Accreditation Officer Steve Parscale, “this accreditation is evidence that Mount Saint Mary’s is committed to providing the highest quality of business education for their students.” The Certificate of Accreditation was presented by Parscale at the annual ACBSP Conference 2018 in Kansas City, MO in June. You can read more about the ACBSP and Mount Saint Mary’s degree programs here. 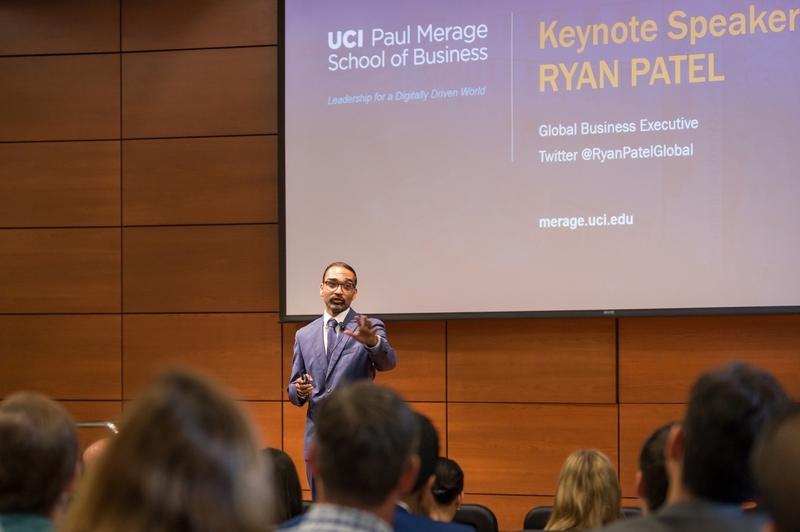 Ryan Patel, graduate of UC Irvine’s Paul Merage School of Business‘ Fully Employed MBA program, recently returned to his alma mater to serve as keynote speaker for Merage’s annual Alumni Day. Today a world traveler and global business executive, Patel has worked at major including frozen yogurt chain Pinkberry, where he served as Vice President of Global Development. During his tenure Patel was responsible for the chain’s expansion from 95 locations to 270, across 23 countries. Since his graduation from the Merage FEMBA program in 2008, he has become a frequent contributor on CNN and in 2017 was named as one of nine executives changing the world with their brands by Inc. Magazine. Patel served as Keynote speaker for Merage’s Alumni Day this year, commenting on the power of influence and the importance of it to a leader. More than 120 guests attended the alumni event, listening to Patel’s commentary on the importance of diversity for building a global team. “Embrace different cultures and integrate shared values for optimal results,” Patel advises students. Patel also reflected on his own experiences at UCI and the ways it informed his career path. “Throughout my time at UCI, I was able to interact with so many people from various industries and backgrounds … this created a great foundation for understanding how to work with and manage diverse teams as a future board director and during my tenure as vice president of global development at Pinkberry” he comments. Read more about Ryan Patel and the UCI Paul Merage School of Business here. Throughout the most recent academic school year, finance students at the Loyola Marymount University College of Business Administration had the opportunity to benefit from strong ties between their university and the entertainment industry through a series of visits to major film studios. The idea was developed by Mark Sgriccia, MBA (’08), Vice President of Worldwide Content Operations and Strategy at Lionsgate, who wanted to attract top talent from LMU MBA students for employment at the studio. After pitching his idea to LMU Associate Professor of Finance David Offenberg, Ph.D., the idea grew into planning a number of visits at studios like Universal Pictures, Netflix and Twentieth Century Fox. Read more about studio visits at LMU here.